Persistent defense industry complaints about DoD’s use of “lowest-price technically acceptable” contracts — or what the industry likes to deride as “cheap, but good enough” — didn’t receive much attention in the draft version of the Pentagon’s latest version of its Better Buying Power plan. But there now appears to be a move afoot to gather good data on exactly how widespread the use of LPTA is. Industry seems to think it’s pervasive and is causing many firms to lose money on contracts. But Frank Kendall, the Pentagon’s acquisition chief, has told us before that he suspects a few high-profile cases have blown the whole thing out of proportion. Randall Culpepper, the Air Force’s top official for service contracting, told an AFCEA audience last week that Kendall has tasked him to lead a new team that will examine the use of LPTA throughout the department. He expects the results to wind up in a study that will inform the final version of Better Buying Power 3.0. He didn’t specify the scope of the project or spell out exactly which questions it’s trying to answer — DoD and Air Force spokespeople weren’t immediately able to fill us in on those details either — but Culpepper said his office had been asked to lead the review for two reasons. “One is we’ve had great success with doing LPTA, but we’ve also had a few bumps along the way that we believe we’ve learned from, and we’ll bring that experience to bear,” he said. Among them: the “technically acceptable” part of LPTA can be hard to define, especially in the services arena. Culpepper said the Air Force has seen plenty of circumstances in which contractors lowballed their bids in an effort to win the contract, and contract dollars they got weren’t nearly enough to hire the support staff the Air Force needed to do the job. And somewhat paradoxically, in cases like that, Culpepper said the Air Force has now started considering vendors’ price proposals as part of its “technically acceptable” calculus during the source selection process. In other words, the government wants low prices, but if a vendor proposes a price that’s so low that it calls into question whether the vendor is going to be able to hire the caliber of people needed to do the job, the work might actually not go to the cheapest vendor, even in an LPTA contest. 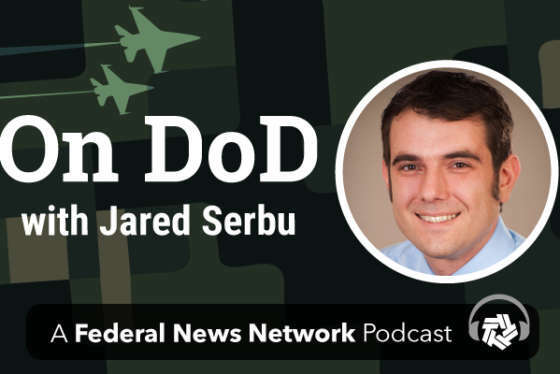 This post is part of Jared Serbu’s Inside the DoD Reporter’s Notebook feature. Read more from this edition of Jared’s Notebook.